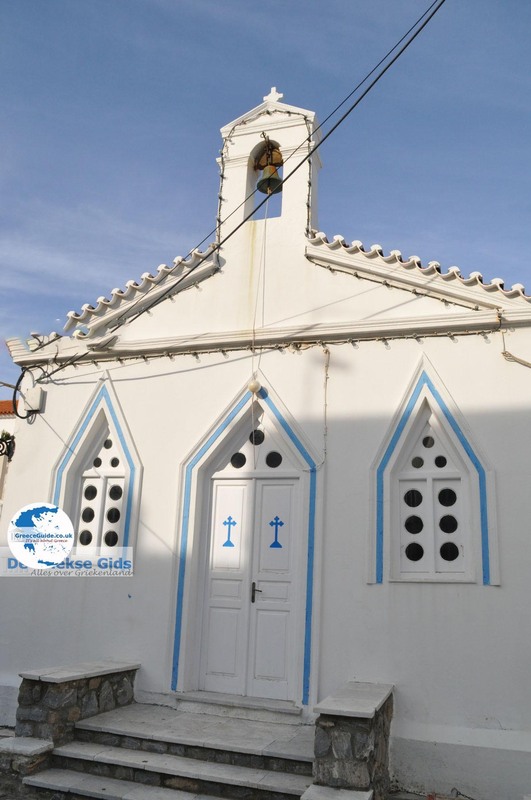 Andros Town (Chora). 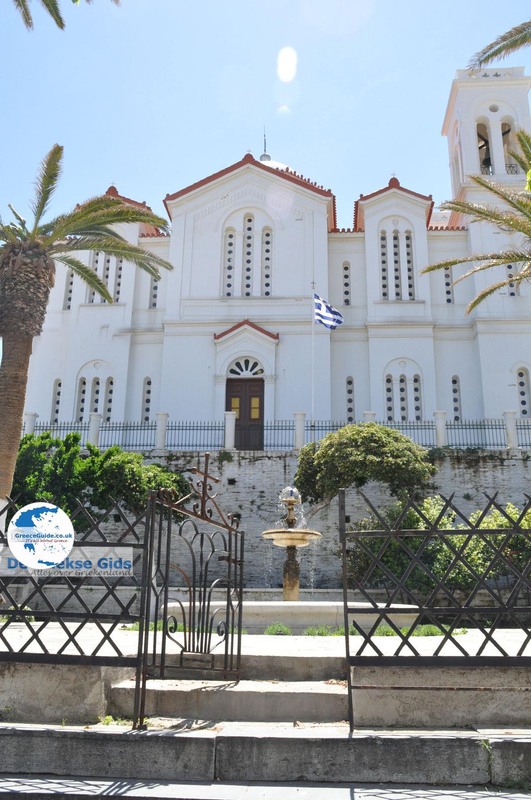 The capital of the island of Andros is Andros Town, also known as Chora. 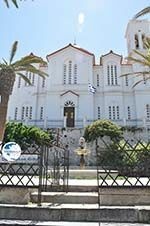 Chora is located approximately 35 kilometers (22 mi) southeast of the port town of Gavrio. 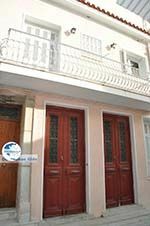 After about a three minute drive from Gavrio we came to Chora, where we would be staying in the Myrtho apartments. Here we received a very hospitable welcome by our hosts Ioanna and her parents. Ioanna’s father has been a sailor for many years, like nearly all the men of the island. On the square near the sea in Chora you can see a large statue of a sailor. Andros is a pleasant town with beautiful neoclassical mansions and public buildings. The architectural style is a mixture of Venetian and Cycladic buildings. 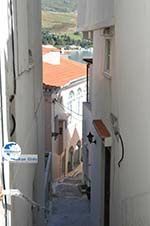 Everywhere churches, shops and terraces line the narrow cobbled streets providing an enjoyable atmosphere. There are two squares. 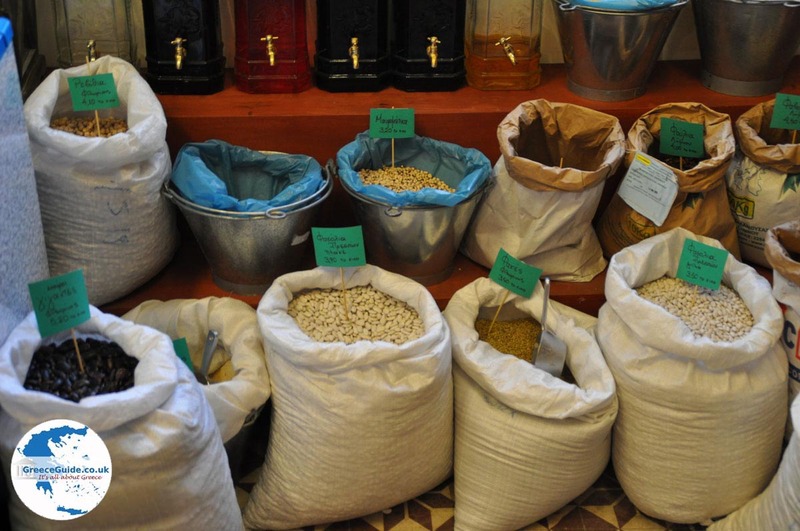 One is paved with stones and has restaurants and cafes. The other plaza has a marble floor and is where the statue of the Unknown Sailor is located. 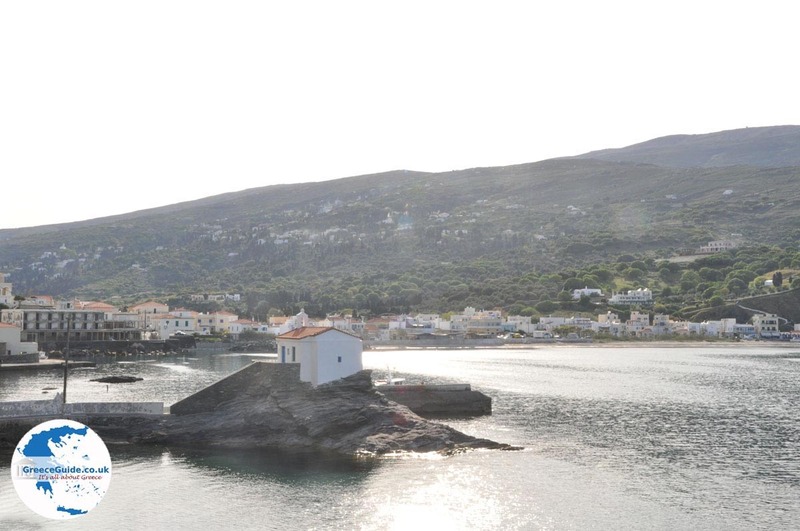 Andros town, is built on a small hill and was the birthplace of many ship owners, hence the Maritime Museum is located here. Also there is the Archaeological Museum with objects from the Geometric, Classical, Hellenistic, Roman and Byzantine periods. There is also the museum of contemporary art. 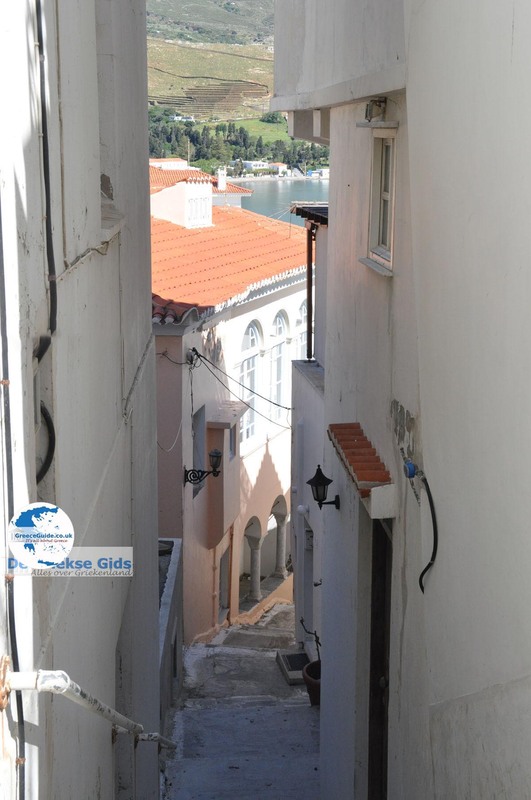 The town is located on an elongated peninsula. 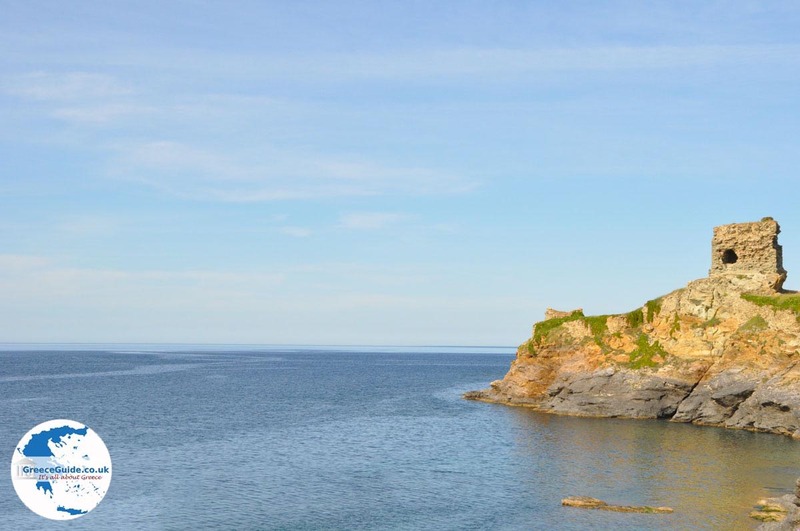 At the farthest end of the peninsula are the ruins of a castle and a bridge from the 13th century. This bridge is so steep that we could hardly imagine people once regularly walked over it. In and around Chora are nice beaches. 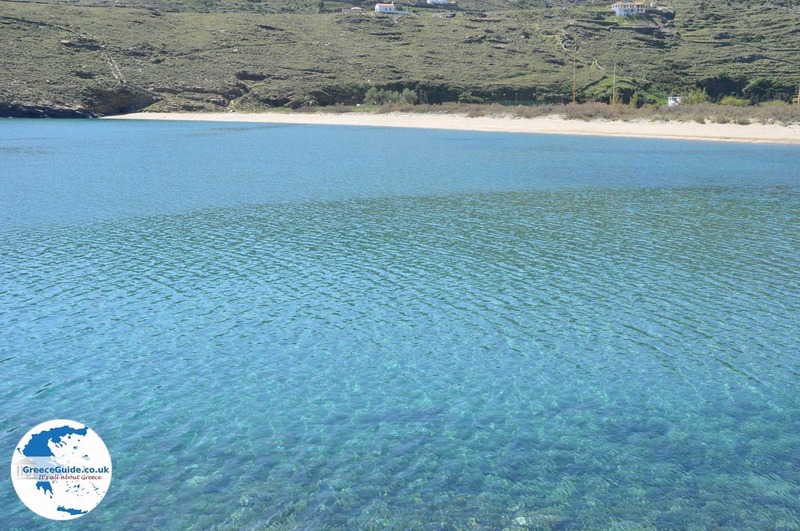 The most popular beaches are those in Chora itself, the beaches Nimborio and Paraporti. 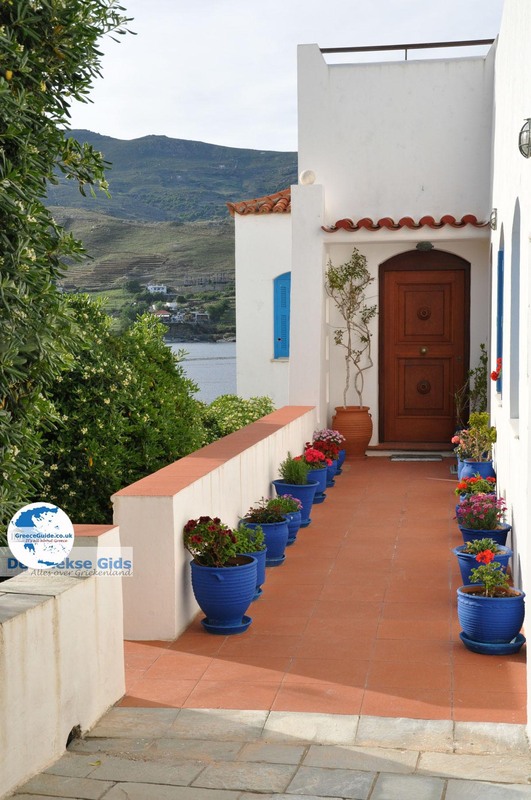 Slightly out of town, in the north, are the beaches Gialia and Piso Gialia. 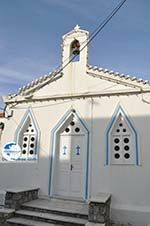 Nimborio, which has the best facilities, is within walking distance north of the center of Chora. During summer various activities such as exhibitions and festivals are held. August 15 is the day of Our Lady Ascension. 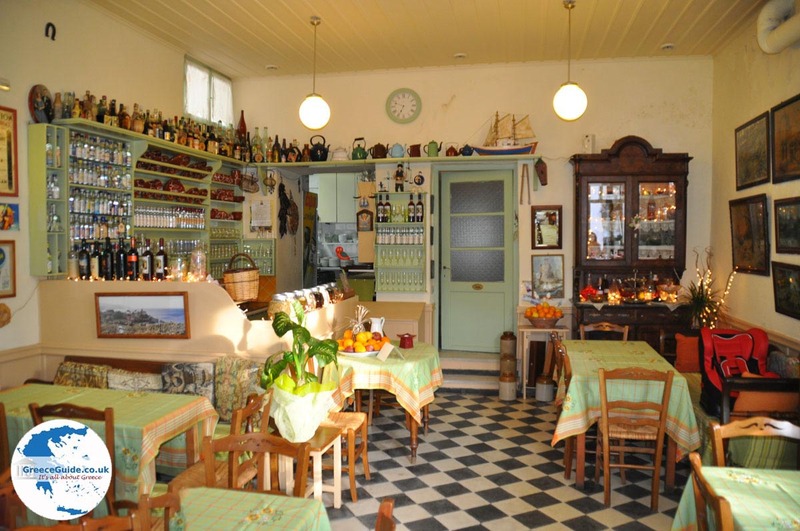 There is music and dance and local specialties are offered, such as Froutalia, which is an omelet made with potatoes, local sausage, goat cheese, tomato, a little mint, salt and pepper. 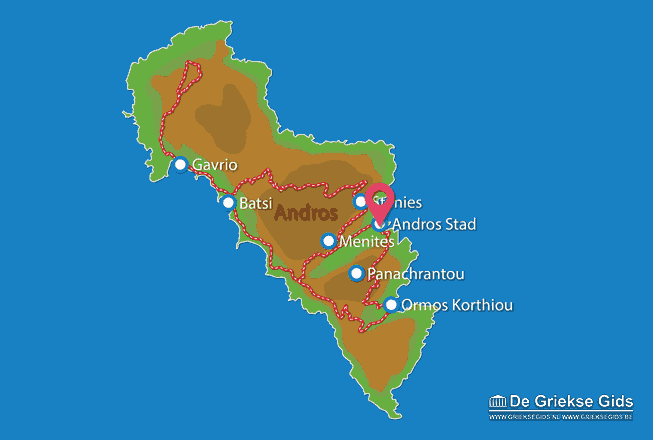 Andros: Where on the map is Andros town located?